Based in Surrey and the South East, we are experienced in providing technical production services for meetings and corporate events. Staging an event requires planning and preparation. 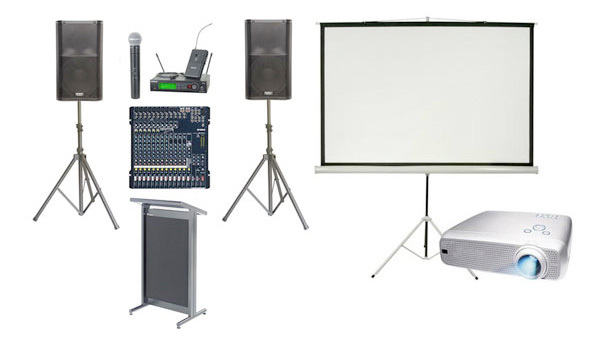 Once you’ve established the purpose and the aim of the event and selected a venue, you will then need to organise a PA system, projector and stage lighting. Dance2 are sound and light specialists and can assist in both sound production and lighting design to ensure that your event runs smoothly and looks and sounds amazing. We offer a complete technical event production service from the initial brief and site meeting, design and costings, through to the planning, organisation and final delivery of the technical production element of your event. We ensure that the solution we deliver is appropriate to the size of the venue, the volume of guests and the nature of the presentation. Our trained technicians will deliver, install and test all equipment. We take care of the power supply management and cabling keep things in order behind the scenes. We stock a wide range of the latest equipment and offer either our popular event packages or we can tailor a package specifically for you.